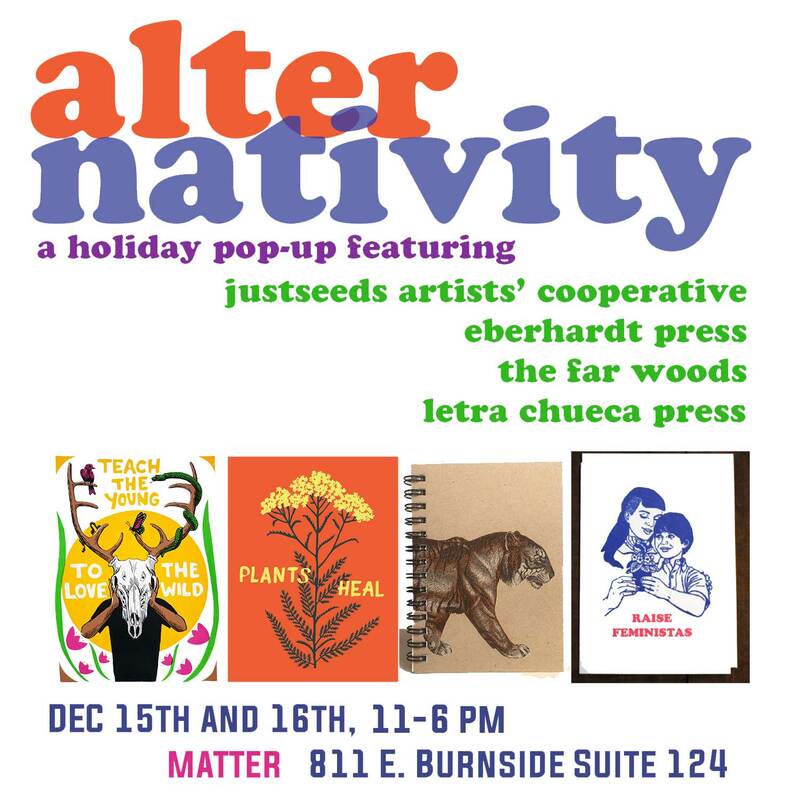 Justseeds PDX is hosting a small pop-up event featuring the work of Justseeds artists and a number of our local allies- Eberhardt Press, The Far Woods, and Letra Chueca Press. We’ll have a variety of inspiring and radical material for you to peruse. Please stop by!